In the process of researching my City As Cite project, I’ve continued to cross reference academic ideas from Computers Helping People With Special Needs with less academic, pop-cultural thinking on how to combine public spaces with technology. For my “pop cultural” angle this week, I found some interesting ideas in an old article from Wired Augmented Reality is Transforming Museums. In most cases, though, the artists use ARKit-powered apps to add different, often meta-layers of context to galleries as a source of commentary. 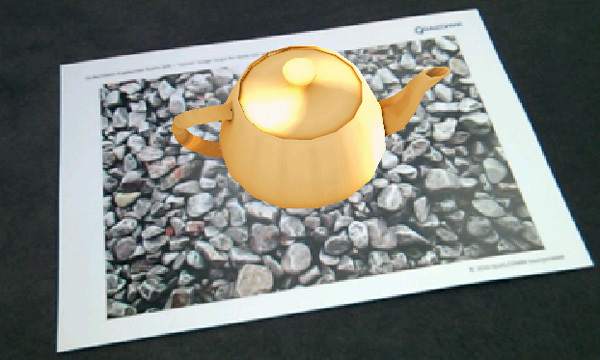 For example the project AR(T) augments gallery content. The ENABLE project builds on the concepts of user centred design . The goal is to build a system that meets user’s needs across Europe in the best possible way, to be able to help a large number of people to manage and maintain their daily life as independently as possible. So one idea that stuck out to me was perhaps using a few features from Vuforia’s AR API such as Image Targets to place objects in the real world the, when viewed with certain mobile applications, trigger additional context to appear. For example, perhaps for the hearing impaired they could aim a phone app at some sticker or image on an object in the real world the depends on auditory data and have a visual illustration pop up that gives them some timely information about the object. Thus creating a possible implementation for “environmental annotations”.